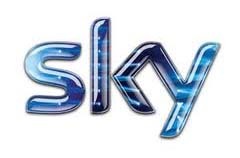 Satellite TV provider Sky have made it easier for customers to enjoy their favourite TV in high definition and 3D with the launch of the Sky Entertainment Extra+ Pack. Sky has launched the Sky Entertainment Extra+ Pack, which is a new subscription pack that sits alongside the Sky Entertainment Pack and Sky Entertainment Extra pack, offering subscribers a new way to watch their favourite programmes in HD and 3D. This new package offers the same TV channels that are currently included in the Sky Entertainment Extra Pack, however in addition subscribers to the Sky Entertainment Extra+ Pack will also be able to watch over 45 HD channels exclusive to this Pack, with Sky 3D also available for those subscribers with a 3D TV. HD channels exclusive to the Sky Entertainment Extra+ Pack include Sky 1 HD, Sky Atlantic HD, Sky Living HD, Sky Arts 1 HD, Universal HD, Sky News HD, Good Food HD, E! HD, MTV HD, Sky Sports News HD and many more. The Sky Entertainment Extra+ Pack is available to new customer for £31.50 a month. If you’re a currently Sky TV customer and your packages currently includes the Sky Entertainment Extra Pack, then upgrading to the new Entertainment Extra+ Pack with cost an additional £5 a month. You can compare the latest Sky deals here.